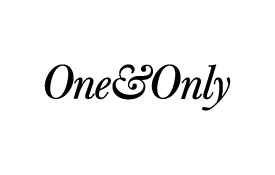 Choose from a range of properties in the One&Only portfolio - a rare collection of jewel-like resorts set in some of the most beautiful locations in the world. Each property embraces an individual authentic style and personality born of its local culture and traditions. The Mazagan resort, an addition to the One&Only family, located just an hour’s drive from Casablanca, is a luxurious property overlooking the Atlantic Ocean, inspired by Morocco and all its charm. Earn Miles on stays at ten distinctive luxury resorts in the Indian Ocean and Africa, the Arabian Gulf, the Pacific and the Caribbean, the Great Barrier Reef as well as the iconic Mazagan resort set on the outskirts of stunning Casablanca. Please quote your Emirates Skywards membership number when booking and present your card at check-in. Remote island retreats, enchanting palaces and contemporary haute chic villas, all combine genuine hospitality with lively energy you won’t find anywhere else. The One&Only collection sets itself apart, marrying culture and luxury with elegance and class, for a stay that you won’t forget. Find out moreFind out more about One & OnlyOpens an external website in a new tab. Situated on the coast of Morocco, not far from Casablanca, Mazagan is a sumptuous property extending along four miles of beach overlooking the Atlantic Ocean, with 500 rooms featuring Moroccan-inspired design. Find out moreFind out more about MazaganOpens an external website in a new tab. 1 Skywards Mile per USD 1 spent** on eligible room rates and incidental charges*** incurred per stay. Earning Criteria: Members can earn Miles for accommodation stays on publicly available rates via One&Only and Mazagan websites, or booked through One&Only and Mazagan reservations offices directly. Members are not eligible to earn Miles for reservations made via a travel agent or individual wholesale/tour operator. Other non-eligible rates include airline crew rates, travel industry employee rates, group bookings, conference and incentives events, government, special discounted stays, discounted long stays, banquets, club membership fees, gift vouchers, One&Only Resorts employee rates, barter, and complimentary rooms. Incidental Charges Miles can be earned on food, beverages, telephone calls, laundry charges, golf and spa spends when charged to the room bill (inclusions may vary per resort). Miles cannot be earned on visit visas, retail charges, paid out charges, authority fees, service charges, medical fees, conference and banqueting functions. Following Terms & Conditions apply: Upgrades subject to availability at the time of check-in (Contact the hotel for more details). Spa discounts apply to selected treatments only. Members can earn Miles for accommodation stays on publicly available rates via One&Only and Mazagan websites, or booked through One&Only and Mazagan reservations offices directly. Members are not eligible to earn Miles for reservations made via a travel agent or individual wholesale/tour operator. Other non-eligible rates include airline crew rates, travel industry employee rates, group bookings, conference and incentives events, government, special discounted stays, discounted long stays, banquets, club membership fees, gift vouchers, One&Only Resorts employee rates, barter, and complimentary rooms. Miles can be earned on food, beverages, telephone calls, laundry charges, golf and spa spends when charged to the room bill (inclusions may vary per resort). Miles cannot be earned on visit visas, retail charges, paid out charges, authority fees, service charges, medical fees, conference and banqueting functions. The number of Skywards Miles awarded is based upon the room type booked and paid for, even if a different room type is provided. A member staying at One&Only Resorts and Mazagan will receive 1 Skywards Mile for each USD 1 spent. Members who have not paid the eligible rate will not earn Miles on the room tariff; however, they will still earn 1 Skywards Mile per USD 1 spent on eligible incidentals charged to the hotel bill. Skywards Miles can be earned by the member on additional rooms booked if (i) the member is staying at One&Only Resorts or Mazagan at the same time as the additional guest/s; and (ii) all rooms are reserved and registered in the member's name; and (iii) the member pays for all rooms. Benefits for Emirates Skywards members are applicable to the guest room accommodating the member only. Skywards Miles are earned on the net amount excluding authority fees and applicable service charges and after any discount has been applied to the bill. Members must present a valid Emirates Skywards card at check in to earn Skywards Miles. Skywards Miles will be credited to the member's account only after payment in full is made for the qualifying stay. Receipts should be retained as proof of spend until Skywards Miles appear on the member's statement. Receipts must be presented for a retroactive claim. If the member wishes to claim an adjustment to the number of Skywards Miles awarded or, a retroactive claim, the member must do so within six months of the date of transaction, by filling in the online claim form, with a copy of the relevant bill, if available. Emirates Skywards members may not earn Miles or points with any other frequent flyer or loyalty scheme for the same stay. Skywards Miles are awarded at a rate of 1 Mile per USD 1 on all eligible purchases. Calculations are made from applicable local currency into USD at the prevailing exchange rate. Should a member book an extra service which is not included in their membership tier privileges, charges shall be applied to the guest bill for settlement. One&Only Resorts and Mazagan reserves the right to change these terms and conditions, along with the available benefits on offer for each tier at any time, with no advance notice.